I've mentioned before that it's fun to take board games along with you on vacation, and having digital versions of said games can make it all a lot easier. Well, now Days of Wonder is making that ease even easier, by making it much, much cheaper. They're having a summer sale for the digital versions of their games. How much of a discount? 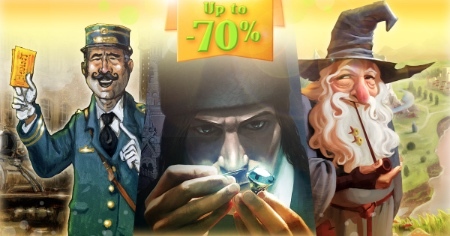 Some games are up to 70% off. The games are available on sale on Steam, for iOS, and Android. So they've got the vast majority of bases covered for getting you the games you want on the platform you want. These won't last forever, though, so you'd better hurry.